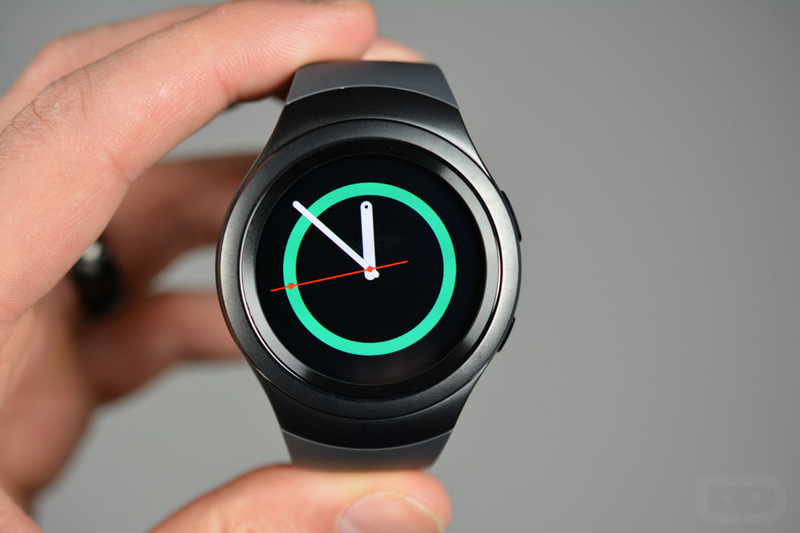 An update is rolling out to the Samsung Gear S2 this week, one that weighs in at around 91MB. 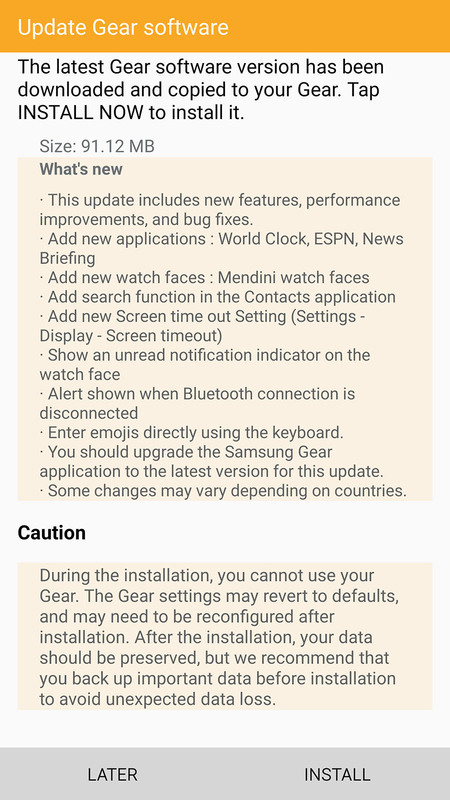 The update arrives as software version R720XXU2BPA4, includes new apps for World Clock, ESPN, and News Briefing, but also adds new Mendini watch faces, search function in Contacts, screen time out setting, unread indicator, emoji entering from within the keyboard, and an alert when Bluetooth has been disconnected. If you own the Gear S2, feel free to open the Samsung Gear app to initiate the process. If you aren’t prompted right away, head into Settings>About Gear>Update Gear software and tap on Update now. Not only will you receive the update for the watch, but you may see an update to the Gear app as well.